Virtual Private Server (VPS) hosting providers offer access to computer servers with rentable virtual machines (VMs) that act as if they were each a unique server in and of itself. VPS hosting is a type of website hosting used to host websites in scalable virtual environments within a partitioned server. Through VPS hosting, multiple virtual instances can reside on a single server without interfering with other server residents’ website performance. VPS hosting is used by organizations that require more server resources than are offered in shared hosting plans, but do not wish to pay for the sole use of a server for dedicated hosting. Overarching server resources, such as available CPU, RAM, and Internet bandwidth, are shared by all accounts hosted on the server, while some portions of those resources are reserved for each VPS user. VPS hosting providers use server virtualization software to create each virtual instance within a single physical server, and often provide support for a variety of content management systems, web frameworks, and control panel software. Virtual Private Servers (VPS) reviews by real, verified users. Find unbiased ratings on user satisfaction, features, and price based on the most reviews available anywhere. AWS Direct Connect lets you establish a dedicated network connection between AWS and your datacenter, office, or colocation environment, which in many cases can reduce your network costs, increase bandwidth throughput, and provide a more consistent network experience than Internet-based connections. 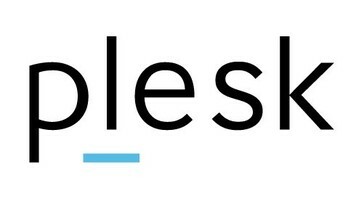 Plesk is one of the leading cloud platforms to run, automate and grow applications, websites and hosting businesses in more than 32 languages across 140 countries in the world. Half of the top 100 worldwide service providers are partnering with Plesk today. Being the only OS agnostic platform, Plesk is running on more than 350’000 servers, automating 10M+ websites and at least 15M mail boxes. cPanel & WHM is the industry standard control panel for Webhosting Automation and Server Management. Web hosts love cPanel & WHM because it allows them to reduce their overhead in server maintenance and user management. Developers, designers, and small business owners love cPanel & WHM because it allows them to manage their domains and websites with ease. From managing FTP access and email accounts to the easy deployment of new websites and a robust set of features for server management, cPanel & WHM is the Hosting Platform of Choice. Founded in the year 2003, AccuWeb Hosting is a Old Tappan, New Jersey (US) based web hosting company, providing the most Affordable and Reliable web hosting solutions to customers across the world. AccuWeb Hosting is a debt free, privately owned company with 14+ years of experience. As of today, AccuWeb Hosting has been serving more than 101,025 satisfied customers and counting. AccuWeb Hosting's online support staff is open 24 hours a day 7 days a week. For your convenience, you may either raise a support ticket or engage in a live online chat. All tickets and chat requests are satisfactorily answered by highly skilled Level-3 hosting technicians. Most support tickets are addressed in less than 30 minutes. AccuWebHosting's servers are housed in the state-of-the-art data center located in US, Australia, Canada, France, Singapore, and India. These ultra-modern data center is equipped with 24 x 7 onsite staff, multiple internet connectivity, 24 x 7 facility monitoring, fire- suppression system, backup power generator, continuous video- surveillance and passcard protected entrances. Most of the servers are powered by Dual Xeon E5 series processors with 64 to 512 GB of RAM, high-speed enterprise grade drives with RAID10 setup. Additionally, all web hosting packages come with Money Back Guarantee, exceptional 99.99% uptime standard and 24 x 7 based support. Amazon Lightsail is the easiest way to get started with AWS for developers, small businesses, students, and other users who need a simple virtual private server (VPS) solution. Lightsail provides developers compute, storage, and networking capacity and capabilities to deploy and manage websites and web applications in the cloud. Lightsail includes everything you need to launch your project quickly – a virtual machine, SSD-based storage, data transfer, DNS management, and a static IP – for a low, predictable monthly price. A2 Hosting is your high powered Web Hosting provider. Host your site on their fine tuned SwiftServer platform featuring a Turbo Server option for up to 20X faster page loads compared to competing solutions. A2 Hosting has a solution for your needs whether you need Shared Hosting, Reseller Hosting, VPS Hosting or Dedicated Hosting. Enjoy ultra-reliable service backed by their 99.9% Uptime Guarantee and expert support from their 24/7/365 Guru Crew Support team. IO Zoom is a cloud VPS hosting company with servers located in multiple datacenters in Los Angeles, Dallas, Chicago, and Miami. Plans start at $5 per month for 1 GB RAM, 25 GB SSD, 1000 GB Bandwidth, and 10 Gbps DDoS Protection. Perfect for web developers, online marketers, startup hosts, and small businesses. UpCloud was formed by a group of like-minded thinkers who saw a clear opportunity to defy mediocrity: to become an IaaS company that would outperform every existing company on the market. Experience our next generation, faster-than-SSD cloud servers with a 100% uptime SLA. Our simple but powerful control panel and API lets you spend more time coding and less time managing your cloud infrastructure. Together with the community, we develop and maintain a large library of open source API-clients and tools. OVH offers hosting, dedicated servers primarily for small and mid-market customers in France and Canada. WebhostUK LTD is one of the most professional and reliable web hosting provider in the UK since 2003. We specialize in offering Managed web hosting solution, Cloud Hosting, Wordpress hosting, Ecommerce hosting, domain registration and SSL service. Backed by our technically strong support team which are available 24x7. Powering Content. Commerce. Applications. Potential. Media Temple Web Hosting provides hosting services designed to help managed web sites, apps, platforms, and blogs. KnownHost provides high quality managed VPS hosting and managed Dedicated Server hosting with SLA backed uptime. Our hosting plans are designed to give you the best performance at affordable pricing. Fully managed hosting has never been easier! Get your WordPress website started right with site analytics, traffic management, security, and backups all together in a complete WordPress bundle. The virtual private server solution features servers that are preconfigured, available in 4 sizes with various technical components, all based on VMware technology with built-in SSD storage. Servage provides the next generation hosting platform, and is likely the most technically advanced and reliable platforms available today. Dynadot is a domain name registrar and web host, to help register domain names and create websites. HostMonster provides internet hosting packages that help businesses and individuals get high-powered service. IBM Cloud Direct Link helps ensure the security of sensitive data to and from the IBM Cloud. Back up or store huge volumes of data from your data center on IBM Cloud with predictable bandwidth costs. Linux & Windows Server 2012 Virtual Private Servers, powered by Pure SSD's in a RAID 10 configuration. Nexcess™ we've focused on one thing since day one: Superior Hosting Solutions. Today, our focus hasn't changed, but our products, our services and our facilities have. Atlantic.Net is a web hosting solution that offers HIPAA-compliant, managed, dedicated, and cloud hosting services. Datapath.io is a network performance management tool that automates the process of network performance optimization to help web services and applications get to and from end users over the fastest and least expensive network routes with the lowest packet loss and optimized bandwidth. GreenGeeks provides green energy web hosting in Shared, Reseller, VPS and Dedicated Server packages. Interserver provides customers with products and services designed to complement their existing businesses. iWeb offers dedicated servers and cloud hosting across Canadian data centers and INAP's global network of data centers. Kaminario provides enterprise-class all-flash storage arrays. OnApp is an end-to-end solution for private, public and hybrid cloud management, with multi-HV, multi-location and multi-cloud support; automation for a huge range of virtual and dedicated appliances; a complete set of orchestration and go-to-market tools; and an intuitive, customizable admin and end user portal. Hi there! Can I help you find the best Virtual Private Servers (VPS) solutions?